The first quarter of 2012 has turned out to be good for used car sales. Even with gas prices soaring, it is cost-effective to purchase a pre-owned vehicle. There are many deals worth taking advantage of because more cars are available to dealers and banks are quoting suitable rates and terms. As current owners are returning there 3 year lease and car manufacturers not wanting to own these off lease vehicles, it makes a great opportunity for use car dealers to pick up some really nice inventory, smart shoppers can take advantage of some great summer deals. 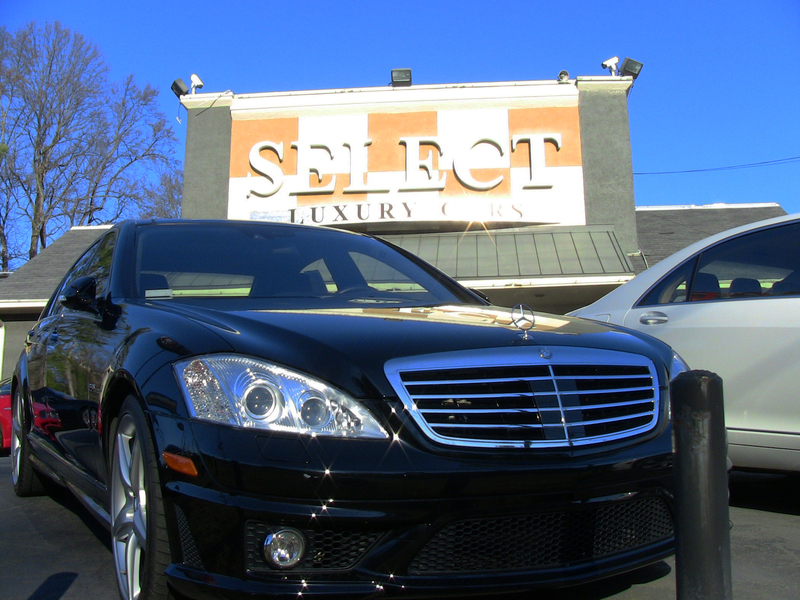 Here at Select Luxury Cars, we have great inventory ranging from $10,000 to $200,000 of all makes and models. If you are looking to purchase, and have a trade in, take this moment to make the most of your car shopping experience. What can men learn from Women Buyers? When it comes to car buying, women are more informed and level-headed than male buyers in the showroom. Male buyers tend to use the dealership showroom as a staging ground for a boxing match with the “salesperson”, whereas a female buyer wants to finalize her transaction and leave. When women approach shopping, they ask all the necessary questions, even if they think they know the answers. They do not rely on what they assume they may know from their vast knowledge of the industry or product. I for one, respect the different angles my wife takes on purchases and the variety of questions she will ask. Some of the questions I may have been afraid to ask myself or that I have too much of an ego to ask. Speaking solely as a salesperson, I believe male customers revel in the gamesmanship of sitting in a showroom and arguing back and forth with their salesperson. They have to win. Women do more research and, as a group, are more pragmatic in their vehicle choices. They tend to be more concerned about safety issues and reliability than horsepower and big wheels. According to Lease Trader, 95% of women buyers list safety performance as their main concern when shopping for their next vehicle. Men (83%), on the other hand list driving and engine performance among their top issues. Here is the bottom line for us men. Please take your time doing your homework before venturing out. Your time is precious, so please do not waste it spending hours at a dealership. In the never ending quest for a great car deal, buyers will spend too much time trying to figure all the angles. A favorite topic to discuss is this: when is the best time to buy a car? 1) Model redesigned: The manufacturer is going to continue making a certain model car, but it is about to introduce a completely new design for the same car you are considering now. Yes, you are buying a car that’s a little outdated, but a deal is a deal. Let the other consumer who has to have the newest model first take the hit to their pocket book. 2) End of the Month: Dealers might need a few more units to make their monthly bonus. You may be able to negotiate a better deal for yourself and take advantage of any Manufacturers (new cars buyers) incentives. 3) Rainy Days: There is no one else out there buying cars, so the salesperson will give you deep discounts to get your business. Good luck getting this one to work to your advantage. 4) Holiday Periods: Again, business is slow so you can get an early Christmas present from desperate dealers. There is probably some truth to this. The problem with that is that some dealers cut back on inventory during the holidays. So, it cuts both ways. 5) Full Moon: Just kidding, you will not get any full moon discount unless you’re in the Twilight movie series scene. Really, the best time to buy a car is when you need one and have done all your research. There are many online sites you and use to figure out what factory incentives and rebates are. Make sure you check the salespersons and dealerships’ customer reviews before driving yourself and your family all over the State to save a few hundred dollars. At any given time while shopping for your next vehicle, you’ll visit a number of online dealers and even some in person. Here is a familiar experience from a friend……. This experience alone can discourage anyone. As a salesperson, I have even been in the exact situation, so many of you can relate. That’s why I think Select Luxury has been a successful online dealer. I am in sales and I don’t use the language or verbiage to discourage my customers. I try to be professional and honest because I understand that the process can be frustrating. We understand that customers get upset with their salesperson when they feel that they are not “working” with them on the price. We also understand that some customers have unrealistic goals when purchasing their next luxury vehicle. That why being an “educated consumer” is so important. Folks again: research is the key when shopping for a vehicle. A customer will say to me, “XYZ Auto has the car for $2,000 less than your X5!” My reply is typical, “Have you driven their vehicle? What is the overall condition?” Customers shopping online MUST research. 1. Find out how long the dealer has been in business. 3. Check the rating on the vehicle to make sure you are truly getting a “good deal”. We all like a good deal, but good service and a quality product are worth the extra money! I had a customer visit the dealership and wanted to test drive a Range Rover, SL550 and a 750Li because she wasn’t sure what she wanted. However, test driving different types of vehicles is not the solution. This will create more confusion instead of helping you make up your mind. Finding the right car to match your lifestyle can be a ovewhelming experience. A good salesperson will carefully listen to the customer’s needs and concerns to help them make a suitable purchase. Before you begin your search, understand your stage in life. If you have young children at home and are shopping for a “main” vehicle, a two seater convertible is obviously out of the question. Don’t wast your time (or the salesperson’s) test driving something that clearly doesn’t fit your lifestyle. There are blogs that tell you to be stone-faced and impersonal with your salesperson. (This is not my point of view). Understand she/he is there to gather information to show you cars that meet your needs and make a qualitative decision. Will this be your main vehicle? Are you married / have children? How long have you had your current car? Do they plan on keeping this car 10 years then give it to their children? Let me start by saying, cost is important but not the main factor in finding your perfect vehicle. When starting your search you need to make a list of your wants versus your needs. Take into consideration your day to day interactions, i.e. kids, hobbies or shopping. What options are a must have? When searching for a pre-owned car, it may have the right options but not be the right color. It can be the perfect color and is missing an option you really want. You should be willing to compromise to get the right deal. Don’t win the battle just to lose the war.